A little over a year ago, I asked myself whether the Eero Home WiFi System will revolutionize the home networking market and set a blueprint for how the future of the routers will look like or if it’s just a sequence of expensive wireless repeaters. A year later, I can definitely say that Eero’s crowd-founded project was a success and the once unknown company has become one of the pioneers of the home mesh WiFi systems. 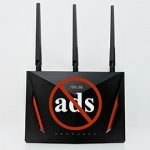 But, being one of the first to implement a new technology has translated in numerous problems which have been slowly fixed and only recently did we have a better and more stable mesh WiFi system. 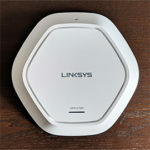 Furthermore, almost every major router manufacturer saw the potential of these new devices and each released its own version of a WiFi system: the tri-band Netgear Orbi (satellites + main unit), Linksys Velop and the newer Asus Lyra, the dual-band Google WiFi, TP-Link Deco M5 and Ubiquiti AmpliFi HD (similarly to Eero, each of these WiFi systems are still undergoing constant updates). 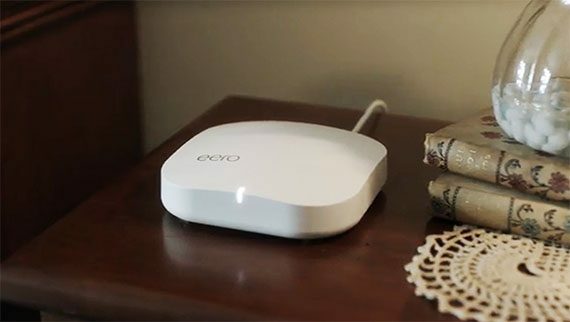 To keep up with the more powerful tri-band WiFi systems, Eero had to move past the dual-band approach and it has recently released its second generation of mesh WiFi systems, which, similarly to its predecessor, it aims at covering your entire house with WiFi (leaving no dead zones), providing an incredibly simple way of installing, monitoring and configuring the system and now, with better internal hardware for a more powerful wireless performance. That being said, the Eero 2nd Gen is not without faults, so let’s have a closer look and see if the new WiFi system can deliver a better experience than its main competitors. With its new generation, it seems that Eero radically changed the design formula, so, there are two types of devices included in the new WiFi system: the standard Eero router unit and one, smaller and less powerful Beacon unit. So, the new system comes in three configurations: the first setup consists of one Eero Gen 2 unit and an Eero Beacon, being created to cover at most a two-bedroom house, the second setup will probably be the most popular (the system that I’m going to focus on), consisting of one Eero 2nd Gen router and two Eero Beacons (should be able to cover a large house – such as a four-bedroom home) and the third option consists of three identical Eero 2nd Gen units. 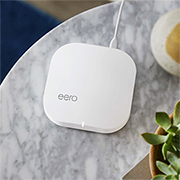 The main second generation Eero unit is identical to the Eero first generation, featuring the same rectangular plastic case with a soft curve, rounded corners and covered by a white glossy finish (which will undoubtedly retain fingerprints). 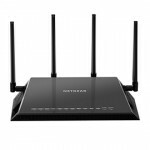 The footprint also stayed the same (it measures 4.75 x 4.75 x 1.24 inches), so it is a bit larger than the Google WiFi, but still smaller and a lot less taller than Linksys Velop or Netgear Orbi, making it a bit easier to position it pretty much anywhere in the room (it also won’t attract much attention because of its simple, minimalistic design). 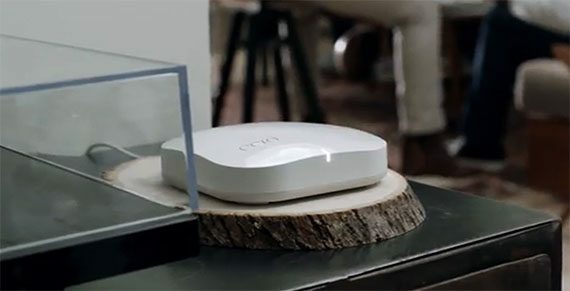 Similarly to the other small form-factor WiFi system units, the new Eero lacks any relevant cut-out or vent hole which would suggest that the device is properly ventilated (unlike the Orbi or the Velop), and, so far, it did not get hot, but it does run a bit warm, so make sure to allow it some room no matter where you place it (if you don’t have much space and prefer not to position the device on your desk or on a shelf, unfortunately, Eero cannot be mounted on the wall or ceiling). The small LED light which sits on the front edge is still present on the Eero 2nd Gen and its role has remained unchanged, showing the status of the device: blinking white indicates that the software is staring up and connecting to the Internet, while solid white shows that the device has successfully connected to the Internet; blinking blue indicates that the device is broadcasting Bluetooth, while a solid blue shows that the Eero unit is setting up; blinking yellow means that an unapproved USB-C power source has been connected, while blinking green means that there are multiple error detected; solid red means that the device is not connected to the Internet. As always, the single LED light system remains unreliable since no one would automatically know what those colour mean, so you’re pretty much forced to use the manual to understand what’s going on with the system. The rear side of the Eero has undergone some changes: the small recessed Reset key is now a fairly large button, the 12V power adapter is now a 12V USB type-C power adapter, the USB port is gone (a wise decision since I’m not aware of any WiFi system to have actually taken advantage of this type of port, so far), while the two Ethernet Gigabit ports remain in the same place as before (any of the two ports can act as the WAN or as the LAN port). 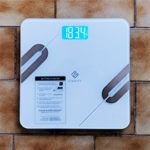 On the bottom of the main Eero unit, there is info written about the device (model number, serial number), a carved in logo and four feet, which should provide a certain degree of stability (especially considering that it weighs 8.5 ounces). 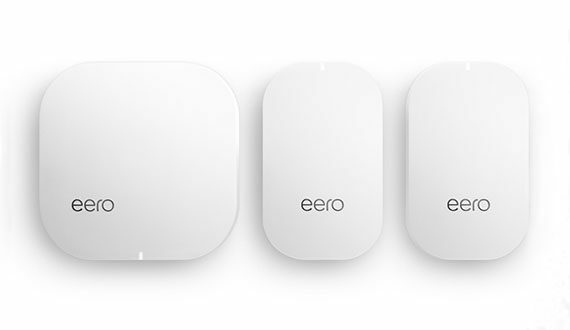 The Eero Beacon is pretty much a smaller version of the Eero unit (it’s actually the same case cut in half), retaining its slight curve, soft rounded corners, the glossy finish and the logo. 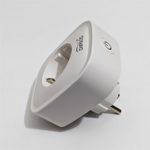 One Eero Beacon measures 4.76 x 2.91 x 1.18 inches and following in the footsteps of Ubiquiti AmpliFi HD (from which it clearly took some inspiration), the device gets directly plugged into the wall (has an integrated plug). But, while the AmpliFi HD had some annoying design choices (it was quite large and had two detachable parts), the Beacon is a lot more compact and has a less industrialized look, so it will blend in better with the environment. Still, I’m not really a fan of this type of deployment (unless it’s a powerline adapter, where it is necessary) since it’s possible to cover up additional outlets. Nevertheless, Eero has sweeten the deal a bit by adding a 10 Lumen LED nightlight with automated dimming (which can be a useful feature if you need to check on your kids during the night or if you’re simply going to the bathroom). 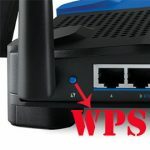 If you go for the Pro WiFi System, then you’ll get the usual amount of ports and the same internal hardware, but, the Beacon units of the Home WiFi System pack seem to be lacking any Ethernet port, which is a great inconvenience for anyone wanting to connect any wired clients which may sit in the vicinity of the Beacon unit (it also cuts the Ethernet backhaul off the list). On the back of every Beacon unit there’s the expected label with the model number, the FCC ID and the serial number. Note: Inside the box, you can find the one Eero 2nd Gen unit, two Eero beacon units, a Quick Guide, an Ethernet cable and a Power cable. Eero (B010001) is built on top of the Qualcomm platform and it takes advantage of three WiFi radios: 2.4GHz, 5.2Ghz and 5.8GHz. It is equipped with a quad-core Qualcomm IPQ4019 chipset clocked at 717 MHz, 512MB of RAM and 4 GB of flash memory. 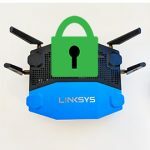 For the wireless connectivity, the 2.4GHz radio uses the Qualcomm IPQ4019 2×2:2 b/g/n chipset (with a Skyworks integrated front-end module) and the 5GHz radio uses the Qualcomm IPQ4019 2×2:2 a/b/g/n/ac chip (with a Qorvo QPF4518 integrated front-end module), while the third 5Ghz radio uses the Qualcomm QCA9886 SoC. 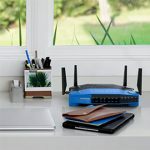 Furthermore, the Eero Home system also takes advantage of the Bluetooth LE 4.2 and the Thread 1.1 Border Router (which will allows the communication with Thread-enabled smart devices – unfortunately, there are none on the market at the moment, so it’s more like a possible future-proofing from Eero). 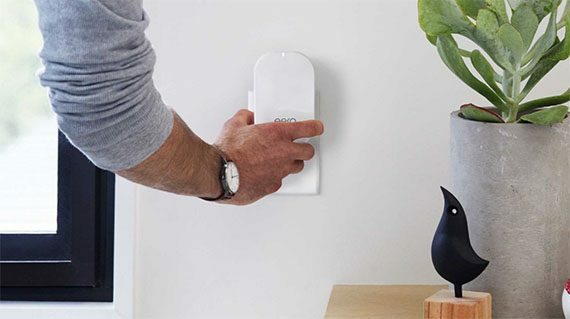 The Eero Beacon is equipped in a similar way, but it lacks the third radio band. 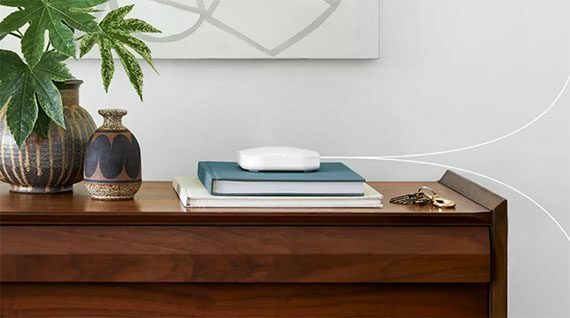 The Eero 2nd Gen features a maximum theoretical data transfer of 240 Mbps using the 2.4GHz radio band and a maximum theoretical data transfer rate of 600 Mbps for each of the two 5GHz radio bands. Pretty much every WiFi system available on the market takes advantage of the mesh technology and the only oddball was the Netgear Orbi, which, for a while used a different approach: it had one main router unit which was connected and communicated with its satellites, while the latter lacked the ability to communicate between each other (with the latest update, this has changed and Netgear has allowed inter-satellite communication). Similarly to the Netgear Orbi, the Eero 2nd Gen also has a tri-band unit (the Pro pack has three identical tri-band units) and, while Orbi has two radio bands to which the clients can connect and one separate radio band dedicated to the backhaul traffic, Eero allows its clients to connect to any of the three radios. 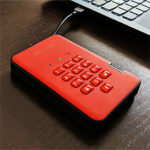 The third radio is a useful addition since any multi-point system will have to keep the latency low and allow as much bandwidth as necessary for the data to communicate properly. As a bonus, the first Eero system allowed Ethernet backhaul, so, if some cables wouldn’t bother you, then you could have a better performing network. The second generation of Eero has retained this capability, but, unless you’re going for the Pro pack, you’ll notice that the Eero Beacons lack any Ethernet ports, so, the backhaul will have a heavy impact on the speed performance. That’s why I’m sure a lot of people will opt for a single Eero 2nd Gen unit which will be integrated in an already existing system of Eero routers from the previous generation (yes, it is backwards compatible – even the Beacons), but be aware that the Thread coverage will suffer, since the older generation lacks this new tech (I wouldn’t worry too much though, since there may be a while until it will be implemented and to actually become widespread – if some of you don’t know, this technology is an alternative to ZigBee or Z-Wave). While it has a third radio, the Eero 2nd Gen has also opted to use the mesh technology (just like Linksys Velop and Asus Lyra), which Eero has named TrueMesh™ and it has all the expected properties. 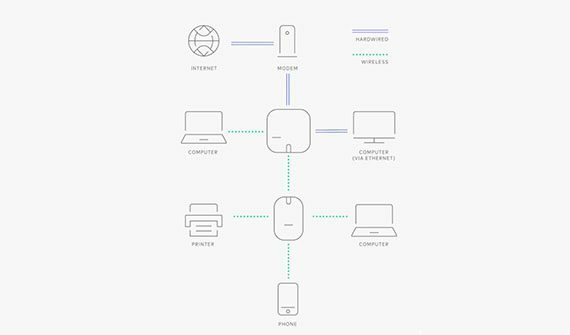 The TrueMesh uses the Intelligent WiFi feature which has the role of detecting all the Eero devices (also called nodes), analysing the parameters of each node and routing the data through the best and most convenient units so it quickly reaches its destination (of course, the best course of action implies less hops). But that’s not all it can do, as the TrueMesh will also heal the network in case one unit goes offline (the data gets rerouted towards the nearest and the least congested node, so it will always reach its destination and you won’t experience any downtime) and, in case you add new nodes to the network, the mesh will adapt to the change and create new and better routes for your data. 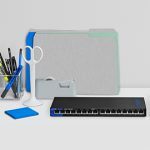 As I said many times, the number one enemy of any mesh system is the weak handling of the backhaul traffic, which can render the whole network unusable, but, it seems that Eero has taken some precautions with its dedicated radio and, if you use the Pro package or the older generation of Eero, you’ll also get the Ethernet backhaul. 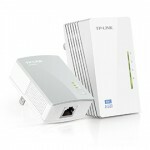 As before, where the original Eero dynamically switched the clients between radio bands to find the clearest channel (it made sure that the 2.4GHz radio didn’t get overcrowded – an usual occurrence with traditional routers), the second gen has retained this useful feature and, to make sure you can easily roam the house without experiencing any disconnects and reconnects between the units, Eero also has support for the 802.11r Fast BSS transition, a feature that makes sure that the nodes inside the system are already aware of each other, even before the client starts roaming around a larger area and, when it needs to connect to the next node, it will go seamlessly, without the need to re-authenticate at every new node.